Zinedine Zidane has resigned as Real Madrid manager. The Frenchman confirmed his exit in a press conference on Thursday afternoon. Zidane took the decision after meeting with Real president, Florentino Perez, earlier in the day at the training ground. “I’ve taken the decision to not continue next year as Real Madrid coach. “This is the right moment for everyone, it might seem a bit strange, but it had to be done for the good of everyone, the players, the club, and myself. This is the moment to make a change, also for the players, after three years it is the right decision,” he said. 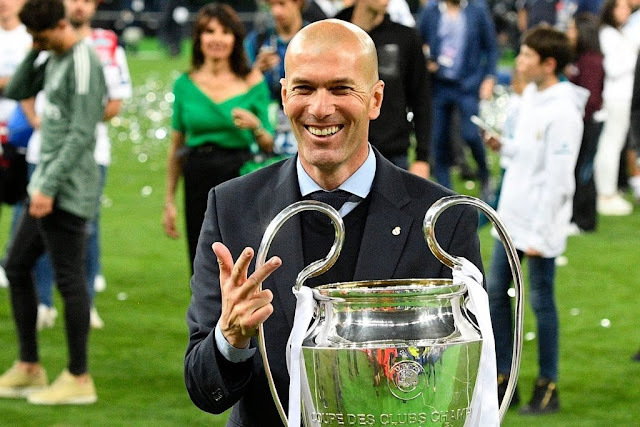 During his two-and-a-half year spell as manager, Zidane won an incredible eight titles, including three consecutive Champions League trophies.